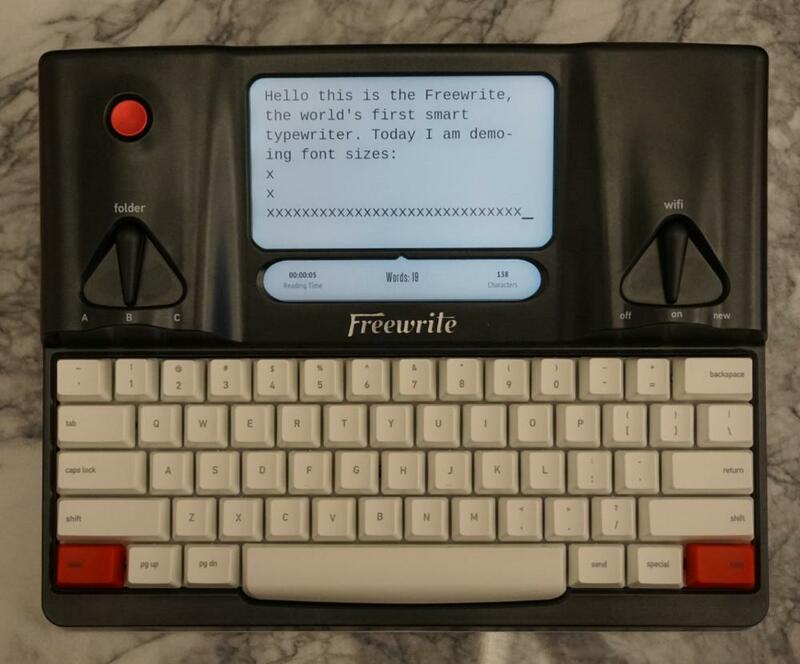 The text on the Freewrite can be adjusted to three different sizes: Small, Medium, and Large. 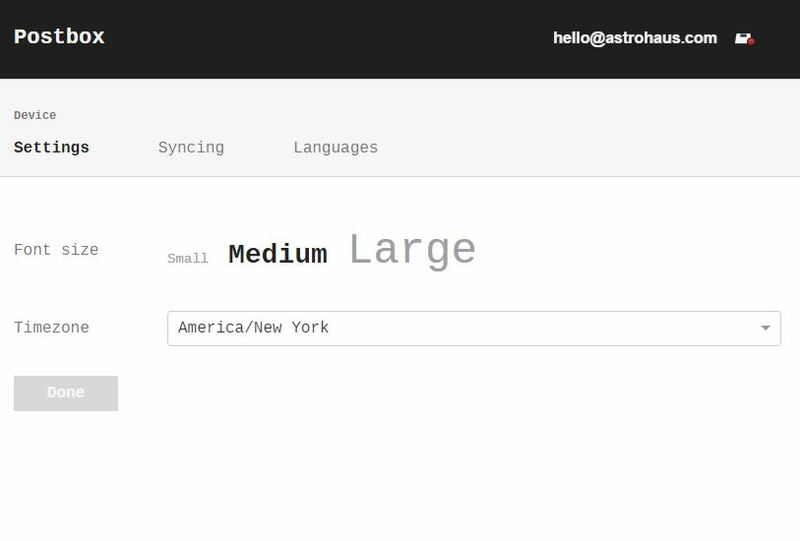 To update your devices font size, login to Postbox and select 'Device settings' from the menu. 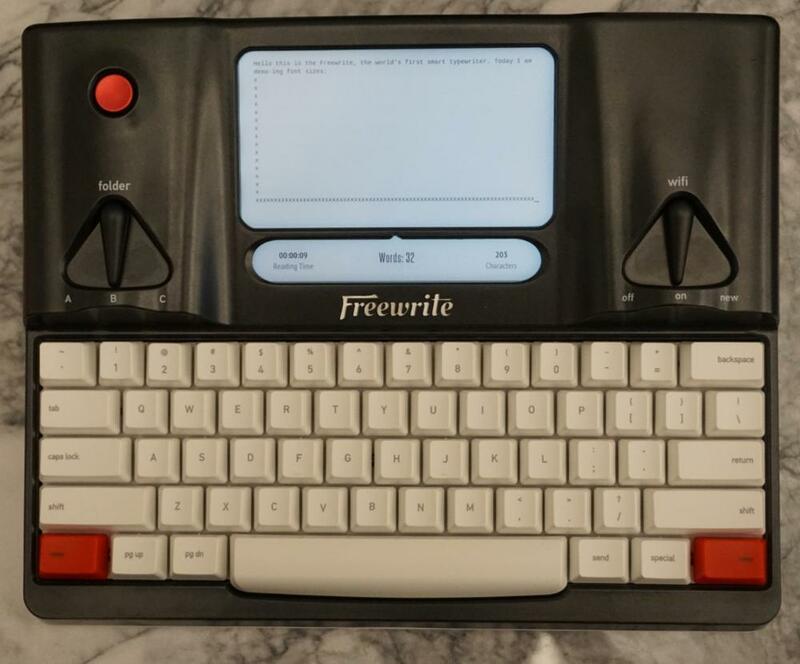 Click on the desired font size and it will update on your Freewrite. 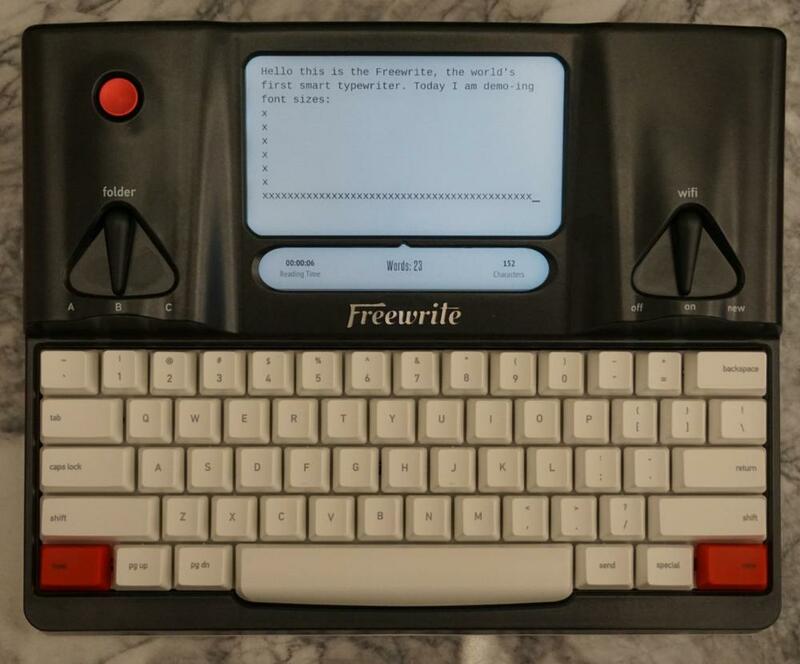 Make sure you are connected to WiFi for your Freewrite to update.